Long, long ago in the southern lakes of Stockholm, there lived a duck called Gloria and Gloria was a special duck indeed. Sure, she had white feathers, a yellow beek and big webbed feet. But it was something else that made her special. 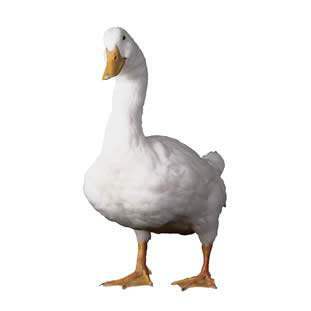 Gloria was a giant duck. She was, to put it simply, huge. She was so huge that she towered above the tree-tops. The townspeople at that time didn’t know about Gloria. She kept herself to herself far away from civilisation and deep in the forests to the south of the town. She fed off fish, but they were so small that she had to eat tons and tons of them to feel full. She was eating all of the time. And the more she ate, the more she grew. Now it just so happened that one day a group of townspeople were riding through the forest along a wide river. As they approached the lake known as Flaten, they saw something curious on the ground – a giant webbed footprint. They looked quickly around and noticed that the footprints led deeper into the forest. Slowly, they followed the trail until they arrived at a big pile of sticks in a circular form – some kind of nest. They climbed up the outside of the nest and peeked over the top. And there in the centre of the nest they saw a big, white egg. ‘We have to take it back to town’ said one of the men in the group. The giant egg was certainly too massive to carry. Rolling it might break it. They looked around the forest for inspiration. ‘I have an idea’ said one of the men, ‘if we can break the side of the nest, we can roll the egg down to the lake and float it on the river all the way back to Stockholm’. What a brilliant idea! And this is exactly what they did. Soon the giant egg was bobbing along the wide river on its way to the town. A short while later, Gloria returned from a day eating fish from another lake. When she saw her empty nest and the missing egg, she quacked inconsolably. Seeing the broken sticks on the ground she understood what had happened. Thieves! They were taking her egg to the town to eat. Angrily, she dove into the lake and swam towards Stockholm as fast as her webbed feet could paddle. Soon in the distance she saw her egg, floating on the river. And she saw the townspeople with ropes and sticks urging it along. ‘I’ll teach them not to steal’ she quacked, and she swam towards them. The egg might have been in water but it was still heavy. The group of men were struggling to make it move and making slow progress. Suddenly, from behind them, they heard an angry quacking. They turned around but before they knew what had hit them, Gloria had lifted the giant egg on her beak and rolled it to the bank of the river. Then, with a horrifying screech, she ate up every single man. Gloria climbed up to the bank to her egg. The bottom of it had flattened out with the speed that it had hit the ground. It wasn’t round any more, so she couldn’t roll it. She tried to push it back into the water but it was stuck fast to the earth. Realising moving the egg was an impossible task, Gloria sat down on the grass beside the egg and hung her head in sorrow. And there she stayed for many many years, protecting her giant egg from any townspeople that might want to steal it again. Nobody knows what happened to Gloria. She probably got very old and disappeared into the forest to die. But her egg is still there. Just to the south of Stockholm, you can see it towering above the treetops. A long time ago, the townspeople hollowed it out and used it as a shelter. Now, we use it as a place of entertainment. 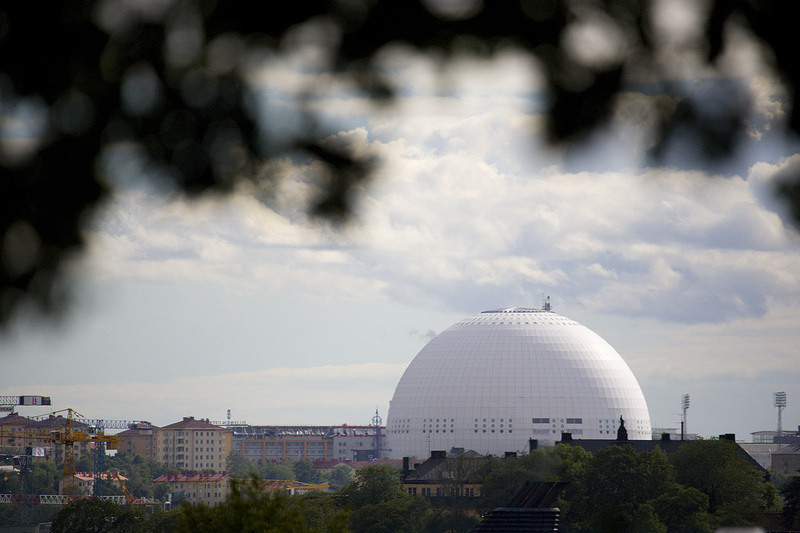 We call it Globen, but we should really call it Gloria.